Being part of a real estate company that has been voted most trusted brand six years running is the perfect match to Linda’s commitment to professional excellence. Her reputation and success in Canterbury are more than qualified by her Achievement awards and satisfied clients. Linda believes success in real estate begins with establishing strong professional relationships – and her clients testimonials say it all. Linda’s natural affinity for people from all walks of life and proven skills in sales strategy, marketing and negotiation makes her the ideal choice to guide and assist you through the sales and marketing process of your most important financial asset. Marketing a property in today’s environment requires creative and innovative solutions to define and promote the distinctive characteristics of your home to attract buyers from a wide demographic. 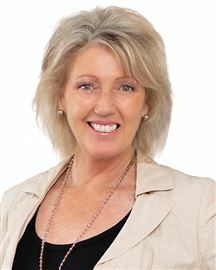 Linda utilises video and photography technology solutions, and this combined with her extensive database throughout Canterbury and New Zealand, her website ‘lifestylelivingwithlinda.co.nz’ along with her social media following, delivers added value to the marketing of your property. Upskilling, personal and professional development are important to Linda and she is currently developing her auction skills – Watch this space! A Win Win in Waikuku! 50 Acres of Opportunity !